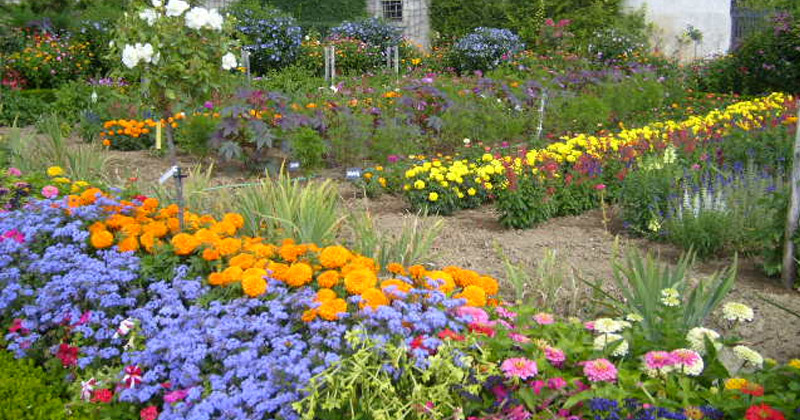 Your flower garden can be a source of inspiration and beauty throughout the year. If you have the time to care for a garden then it’s well worth the effort to grow one. But without any prior knowledge how do you get started? These flower gardening books offer the best resources for homeowners to learn about soil composition, planting, caring and even cutting flowers for sale or indoor vases. No matter what types of flowers you wish to grow you’ll find everything you need between these pages. The New Southern Living Garden Book comes with a flexi spine which makes it perfect for bringing out into the garden while you work. In the newest revised edition you’ll find over 700 pages of plant guides, flower photos, garden design ideas and Q&As teaching everything you need to know about home gardening. This guide even includes expert advice from industry professionals sharing their tips for flower gardening at home. However this is not the most practical guide on the market. 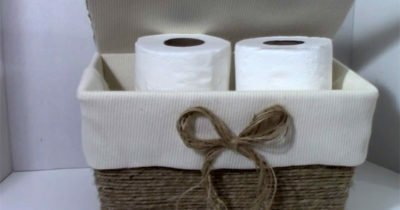 Yes it covers flowers in great detail but it won’t help you learn everything about soil composition or raising flowerbeds. Yet I still find this guide invaluable to gardeners who love flowers and want to look through their options. 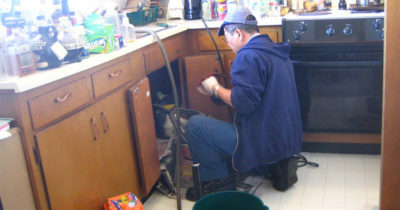 Plus the expert advice section makes up for any lack of step-by-step instruction. While this book was originally published in 1997 the information is still spot-on over two decades later. 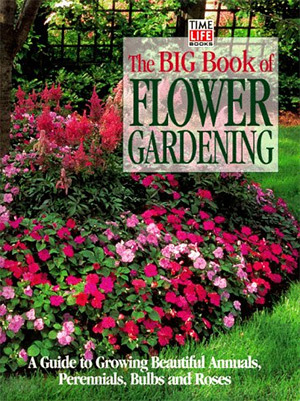 The Big Book of Flower Gardening spans a whopping 380 pages of concise information on flower gardening. This book’s name is quite apt considering how much you’ll learn and how much detail gets covered in each chapter. Photos line almost every page and they offer a gorgeous look at what you can do with your own garden. Each chapter covers practical exercises for planting different types of flowers along with info on how long they bloom and how much care they need. Incredible book for the home gardener or as a gift for any flower lovers you know. Annual flowers work quite a bit differently than other breeds. 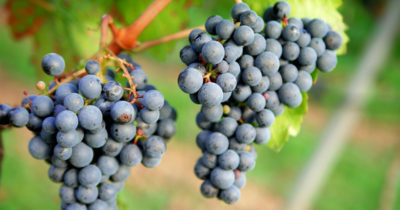 They’re planted during different times and they require different types care to sustain their long-blooming lifestyle. 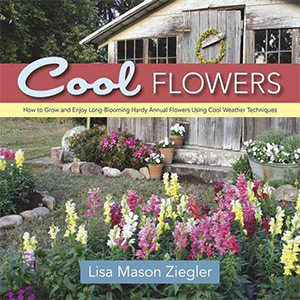 In Cool Flowers author Lisa Ziegler shares tips on growing annuals and how you can keep them healthy year-round. Her decades of experience planting flowers shine through in this writing. Early chapters wax philosophical on the beauty of flowers and how they can cheer up your life. But you’ll eventually get into guides on annuals covering when to plant, how to maintain healthy soil, and how to properly care for these flowers over time. This certainly isn’t your typical flower gardening book, yet it’s one of the best in regards to annuals and how to treat them. You won’t find a better resource than The Well-Tended Perennial Garden for the basics of perennial nurturing. 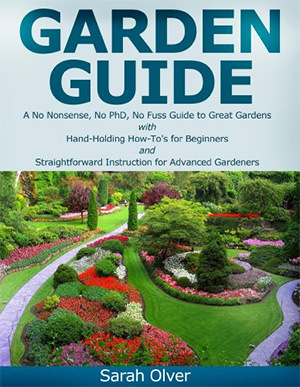 The author Tracy DiSabato has a 30 year history of writing about gardening, all of which gets crammed into this single guide. 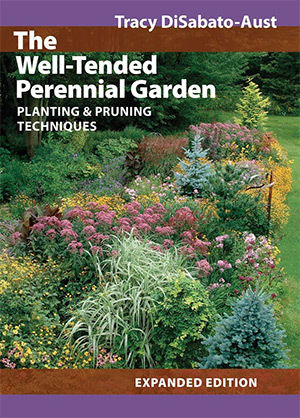 Over 380 pages you’ll learn about the details of planting, watering, protecting, and harvesting perennials. More advanced chapters get into deadheading, pinching, thinning, disbudding and pruning which can apply to all forms of perennials. This newer expanded version has 200 full-color photographs with extra contents added to almost every chapter. Tracy goes to great lengths covering everything about perennial preparation and pruning. This is by far the complete guide to perennials. I absolutely recommend this book whether you’re a newbie or even an advanced gardener. Tracy offers sound advice and this is a dense book you’ll keep coming back to for years to come. 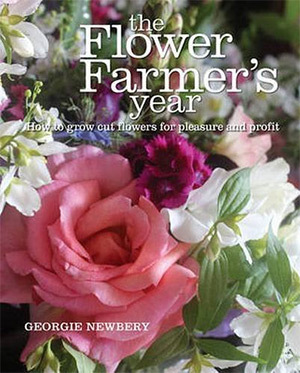 Artisan flower farmer Georgie Newbery walks you through every step of running your own home garden with his book The Flower Farmer’s Year: How to Grow Cut Flowers for Pleasure and Profit. This massive 220+ page book covers everything from planning your garden space to budgeting materials and moving through the seasons. You can plant flowers just to liven up your yard or to sell to friends & neighbors. This book leans towards the latter. But you’ll be pleased to know this book is a practical do-it-yourself manual to flower farming. It has hundreds of incredible photos covering everything from roses to wildflowers to herbs and other lesser-known breeds. If you have a greenhouse or already know how to grow your flowers this book can still be useful as a marketing tool. 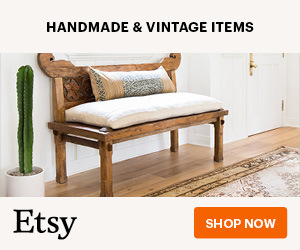 It’s the best resource to learn how to plant, grow, and sell flowers all from the comfort of your own home. Most people simply don’t have time to manage a tremendous garden every day. That’s why The Right-Size Flower Garden was written. It’s a guide for homeowners who want flower gardens that can be managed with ease. 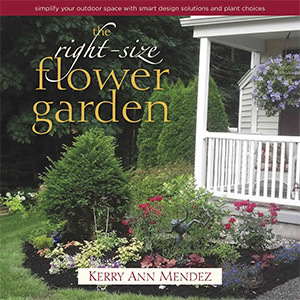 Author Kerry Ann Mendez has years of experience managing her own garden and sharing advice on major outlets like HGTV. 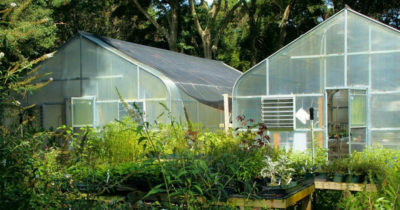 Her tips focus on the type of plants you can grow, the variety of how they’re spread, and how to save time with automated tools for watering and soil composition. Gardening can be a chore but it certainly doesn’t have to be. 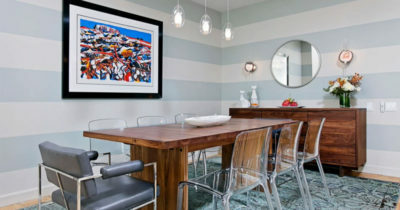 And Kerry’s advice really takes this to heart with practical tips for busy homeowners. If you’re looking for a guide on small-home gardening then this book has everything you need. Kerry’s writing style is easy to follow and her tips can apply to every aspiring gardener. 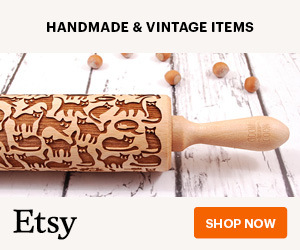 Right off the bat you can tell this is not a how-to guide. 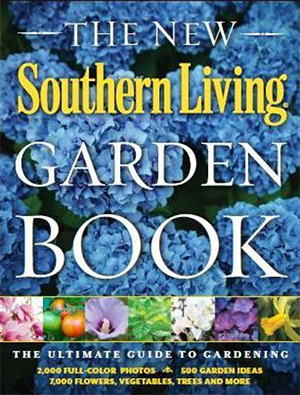 You won’t learn how to till soil or how to test compost for your flower garden just by leafing through these pages. However the Encyclopedia of Plants and Flowers by the AHS is one heck of a resource for flower lovers. Firstly this book is absolutely massive with a total of 744 pages in a book that measures close to 1 foot tall. 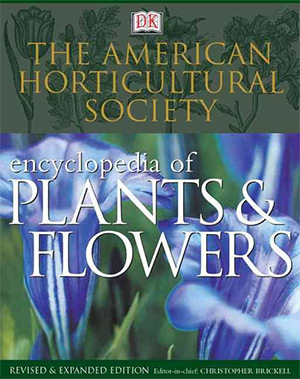 Within these pages you’ll find information on 8,000 plants from garden flowers to water plants, shrubs, trees, and more. You can quickly browse through plants based on season, location, size, and even color. It is the ultimate resource for learning about flowers without digging around aimlessly on the Internet. This guide works well as a reference for planning your own garden or even as a coffee table book to pretty up your home. After years of deforestation and other environmental problems colony collapse has been a real issue. Home gardeners can keep bees coming back and keep them alive longer with gardens that support their life and pollinating practices. 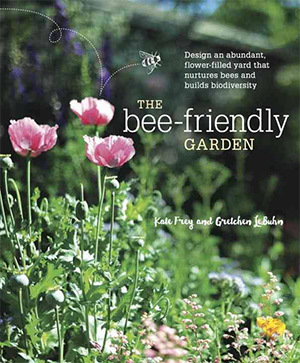 In The Bee-Friendly Garden you’ll learn from Kate Frey, an expert garden designer and Gretchen LeBuhn who combines her knowledge of bees into this one compendium. It’s the strongest resource for building a garden that also keeps bees happy and thriving. 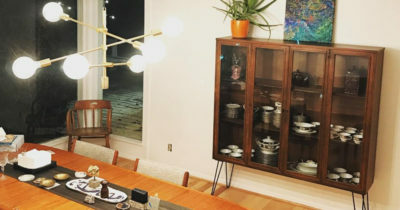 No matter where you live or how much space you have these lessons can work for you. It explains common myths about bees and shares information about how they actually help your garden bloom. If you want your garden teeming with birds, flowers and wildlife then you’ll also want happy bees. And this book will help you get there explaining how cross-pollination works and why it’s so valuable to gardeners. Two words best describe this no-nonsense gardening resource: practical and straightforward. Sarah Olver’s Garden Guide is cheap and easy to read through with 111 pages of tips, how-tos and best practices for new gardeners. Few people have tons of money to throw into a home garden and most have even less money for gardening guides. This one is super cheap and covers everything you need to know in layman’s terms. 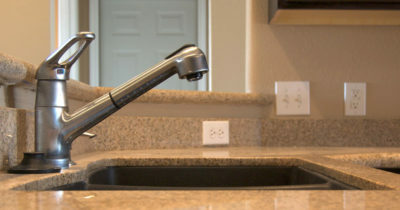 You’ll learn about pH levels and soil testing without all the sciency mumbo-jumbo on top. Fertilization, compost, sunny spots and drainage all come up in this detailed guide to gardening for beginners. 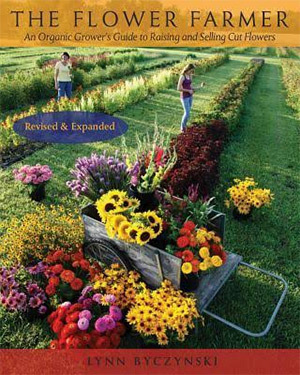 This is by far one of the most practical guides to flower gardening and it’s truly made for the average homeowner with no prior experience but a lot of energy to get started. If you do have enough space in your yard to grow huge garden beds you might consider diving into local flower sales. The Flower Farmer: An Organic Grower’s Guide to Raising and Selling Cut Flowers covers everything you’ll need to create a thriving home flower business with a bit of land and some passion. In this book Lynn Byczynski shares her experience growing flowers with organic seeds, mulch, and gardening materials from start to finish. You’ll find plenty of step-by-step guides to follow along with a directory of resources to use for buying seeds and related resources. But the devil’s in the details and those details truly make this book phenomenal. You can learn about soil preparation, seed planting, cultivation and custom flower arrangements to help sell your beauties. 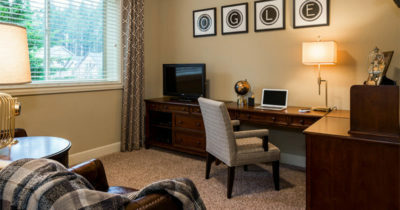 This is far from a dinky little guide for homeowners. It is the definitive book for learning to grow and sell flowers regardless of your past experience. 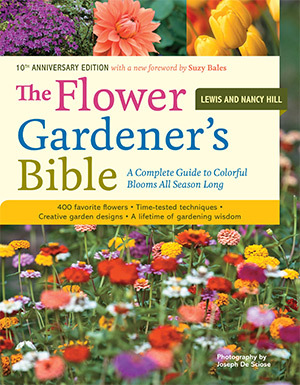 In The Flower Gardener’s Bible you’ll learn every step of the gardening process starting from scratch. Experts from around the world share their advice on planting, soil composition, finding the right spots and choosing the best flowers to mix & match. Over a total of 300+ pages you’ll pick up incredible tips from multiple authors and experts who share their personal processes. Watering, pruning, nurturing, and increasing the lifespan of your flowers are all topics covered in great detail. The photos aren’t the best I’ve ever seen but there are plenty littered throughout these pages. And truthfully the information is 10x more interesting than any photo here so I recommend getting this book to learn flower gardening from the beginning. One thing to note is that the Kindle version of this book isn’t well formatted. It’s certainly readable, but the print version is definitely the better of the two. The best way to learn gardening is to study under someone who already lives & breathes the process. Floret Farm’s Cut Flower Garden was written by Erin Benzakein, a thought leader in the farm-to-centerpiece movement of local flower farming. 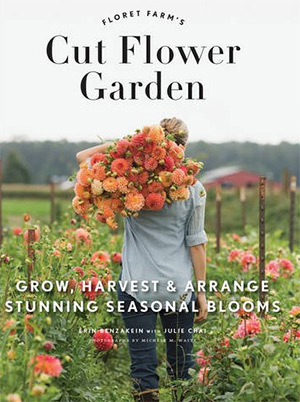 This book is one part inspiration, two parts how-to guide, and a pinch of expert advice from other flower gardeners advancing this young industry. Even if you don’t want to sell your flowers this guide can still teach you all the most detailed information about flower growth and harvesting. It’s fair to say this may be a bit technical for someone who’s never worked in a garden before. But it’s still an amazing resource for anyone looking to dive into the deep end of flower gardening. I certainly hope this guide offers something for everyone regardless of what they want to do. 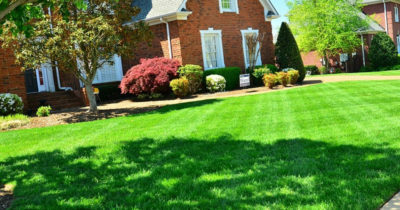 Whether you’d like to plant a small garden around your home or design a masterpiece in your backyard, these books can help you get there with the fewest mistakes and the best expert suggestions.